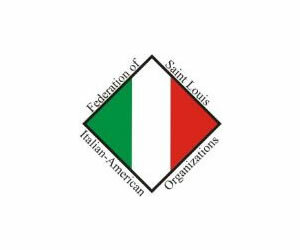 The name of the organization shall be the Italia America Bocce Club Incorporated, of Missouri. It shall be incorporated in the State of Missouri as a General Not For Profit Corporation. The Italia-America Bocce Club is established to promote and preserve the game of bocce; to protect and further the interest and welfare of its members; to educate the public about the game of bocce; to promote charitable endeavors; to promote the Italian Heritage and Culture; and to establish and encourage a fraternal spirit for our membership. The goals and purposes of the organization shall be to protect and further the interest and welfare of its members and the club as a whole; to promote an active interest in civic affairs and community good; and to work toward community accord and friendship. A major purpose of the Italia-America Bocce Club is to promote the game of Bocce and social functions through its activities; and to promote other sporting activities. To work toward community accord and friendship. To Create Awareness of Italian Heritage and Culture. Any person over the age of twenty-one (21) years of age may become a member of the Italia-America Bocce Club upon submittal of a written application and approval of that application in the manner herein set out. All Members shall be entitled to the use of all facilities of the premises of the Italia-America Bocce Club. The spouse of a Member and children under the age of twenty-one (21) years of age are also entitled to the use of the facilities. There shall be only one (1) class of membership, that of a Member in Good Standing. All Members in Good Standing must pay dues. The dues will be determined by the Board of Directors with the approval of the General Membership. If a person joins during the year, his/her dues may be pro-rated by quarter. Prior to March 1, 2009, a certificate of stock was issued consisting of ten (10) shares was issued to all Members in Good Standing. The price of a share of previously issued stock in the Italia-America Bocce Club will be frozen at thirteen dollars ($13) a share. At the time of the approval of these By Laws, the redemption of stock was under review by our attorney. When a legal opinion is provided, it will be presented to the Board of Directors and reported to the membership. No club membership or the shares of stock held by a member shall be sold or transferred by the member; however a membership or shares of stock may be transferred to a spouse with the approval of the Board of Directors. A member may terminate his/her membership and avoid obligations to the Italia-America Bocce Club by a resignation made in writing, except in the case of death, to the Board of Directors, that is provided that all accounts and assessments, if any, are paid. Upon submitting a letter of resignation, the member must surrender and forfeit the certificates of stock in the Italia-America Bocce Club. The Italia-America Bocce Club will be obligated to pay the holder of certificates the price of thirteen dollars ($13) per share. An application for membership in the Italia-America Bocce Club must be signed by the applicant, who must be recommended by at least two (2) members of the Italia-America Bocce Club who are personally acquainted with the applicant. The application shall state the applicant’s full name, residence address, and must be co-signed by the two (2) sponsors. An application fee may be imposed by the Board of Directors. The application and the application fee shall be referred to the President who is responsible for directing an investigation of the merits of the applicant. Upon satisfactory completion of this investigation the Board of Directors shall vote to accept or reject the applicant for membership. The Board of Directors may admonish, censure, suspend, expel, or place on probation any member(s) whose actions or whose family’s actions, or whose guest’s actions willfully violate any of the By Laws or Rules of the Italia-America Bocce Club, or whose speech, practices or conduct at any time or place, whether within or without the club premises shall in the opinion of a least two-thirds (2/3) of the Board of Directors be prejudicial or harmful to the Italia-America Bocce Club. In the event a member is expelled from the Italia-America Bocce Club, he/she must surrender and forfeit his/her certificates of stock in the Italia-America Bocce Club, if he/she has any, if not the stock certificate will be voided on the club’s stock registry. The Board of Directors with the approval of the General Membership shall determine the amount of dues that must be paid. The membership year is from the first (1st) of June to the thirty-first (31st) of May of the following year. Dues notices will be sent out on May first (1st) and the dues must be received by June thirtieth (30th). After June thirtieth (30th) there will be a late fee of $25 for July, $25 for August and $50 for September. Anyone who has not paid his/her dues and penalties by September thirtieth (30th) shall be dropped from the membership roles and will no longer be a Member in Good Standing of the Italia-America Bocce Club. Subsection 1.) All past indebtedness must be paid. Subsection 2.) Pay a Reapplication Fee, if a fee is imposed by the Board of Directors. Regular or General Membership Meetings shall be held at the Italia-America Bocce Club on the third (3rd) Sunday of each month at 1:00 p.m. with the exception of the months of July, August and December when no General Membership Meetings will be scheduled. The Annual Meeting of the Italia-America Bocce Club shall be held on the third (3rd) Sunday of May of each year. There shall be a quorum required for Regular or General Membership Meetings. A Special Meeting of the Italia-America Bocce Club may be called at any time by order of the President or by five (5) members of the Board of Directors. Twenty percent (20%) of the membership may also call a Special Meeting, with or without the consent of the Board of Directors, by posting a written notice over the signatures on the bulletin board of the Italia-America Bocce Club and providing a copy to the Secretary. The notice shall be set forth the purpose of the Special Meeting. A notice shall be sent by the Secretary to the membership, this notice shall be mailed to each member no less than thirty (30) days and no more than sixty (60) days prior to the Special Meeting. No business other than that specified in the notice shall be discussed at the Special Meeting. An outside audit of the Italia-America Bocce Club may be called at any time by order of the President or by five (5) members of the Board of Directors. Twenty percent (20%) of the membership may also call for an audit, with or without the consent of the Board of Directors, by posting a written notice over the signatures on the bulletin board of the Italia-America Bocce Club and providing a copy to the Secretary. The Quorum for all Regular, General or Special Meetings shall be fifty (50) Members in Good Standing. The Quorum the Annual Meeting shall be fifty (50) Members in Good Standing. Nominations – Each year by the February Membership Meeting the President shall appoint the Chairperson of the Nominating Committee. The Chairperson with the assistance of the President shall select the members of this committee. This Committee shall present the names of candidates to fill the respective posts of officers and three vacating Board Members. This committee shall consist of a Chairperson and seven (7) other members in good standing. No more than three (3) of who may be members of the Board of Directors. The President shall not be a member of the Nominating Committee. Nominations may also be made in writing to the Secretary or from the floor at the meeting preceding the May Annual Meeting. The nominations from the floor must be made by six (6) members in good standing. The President shall appoint an election committee to supervise and run the election at the May Annual Meeting. The election of officers and directors shall be by closed ballot and only regular dues paying members in good standing shall be entitled to vote. Absentee ballots shall not be available. The officer candidate(s) receiving the majority number of votes cast shall be declared duly elected. If there is a tie for any position and there are more than two (2) candidates seeking that office, the Chair shall call for a runoff election between the two (2) candidates that received the most votes. If after this second ballot there is still a tie, one (1) additional ballot shall be cast. If after this third ballot there is still a tie, the winner shall be decided by the toss of a coin. The director candidate(s) receiving the majority number of votes cast shall be declared duly elected. If there are more individuals running than there are positions up for election, then those individuals receiving the most votes shall be duly elected. In case of a tie for any position, then the provisions of Article VII. Section D. shall apply. The Board of Directors shall consist of four (4) elected officers and the nine (9) directors, elected on staggered terms. The total number of members of the Board of Directors shall be thirteen (13) members; thereby seven (7) members shall constitute a quorum. The Board of Directors shall be responsible for the general management and administration of the business affairs and activities of the club. They shall establish broad overall policies and general rules that are needed to guide the club and its activities. They shall establish the major program priorities of the club. However, the Board of Directors shall not establish rules that are in violation of the By Laws of the Italia America Bocce Club. The Board of Directors shall discuss and make recommendations on any matters referred to it by the members at a Regular or General membership meeting. The Officers shall include: a President, a Vice President, a Treasurer, and a Secretary. There shall be nine (9) Directors. The term of office for the officers shall be for two (2) years for the President, the Vice President and the Secretary. The term for the Treasurer shall be three (3) years. Their term will begin on June first (1st) following their election at the Annual Meeting. No person can serve as an officer in the club for more three (3) consecutive terms. Then he/she may not serve as an officer for at least one (1) year. The election of officers and directors shall be held at the Annual Meeting in May. All officers and directors shall continue to serve in their position(s) until their successor(s) have been duly elected and installed. Only a dues paying member in good standing shall be able to run for one of the officer positions. He/She must have been a member of the organization for at least three (3) years. Only a dues paying member in good standing shall be able to run for one of the director positions. The Directors shall be elected to staggered terms, with three positions becoming vacant each year. There shall be no additional restrictions pertaining to the director positions. If any officer or director clearly fails to properly discharge the responsibilities of his/her position, the Board of Directors shall have the power to remove that individual from his/her position with the following provisions. The members of the Board of Directors must vote to remove the individual and a two-thirds (2/3) majority vote is required for removal. The General Membership must then be notified at the next General Membership Meeting and provided with the reason(s) for this removal. Removal from office does not jeopardize the membership of the individual so removed. Any officer or director who fails to attend four (4) consecutive meetings, without a justifiable excuse as determined by a majority of the Board of Directors, shall have deemed to have vacated the office to which he/she was elected. Any vacant officer or director position shall be filled by a member in good standing selected by a majority vote of the Board of Directors. This individual shall then serve until the next election at which time he/she may run for the remainder of this term. The President shall preside at all meetings and shall appoint all committee chairpersons. The President shall have general supervision of all the affairs of the Italia-America Bocce Club. With the counsel of the Board of Directors he/she shall perform all such duties usually performed by the president. The President shall have the power to decide all matters which receive an equal number of votes. The decision of the President on all open ballots is final. The Vice President shall perform all duties entrusted to him/her by the Board of Directors. With the President it shall be his/her responsibility to oversee that all committees are performing their tasks. In this position, the Vice President should be in a position to understand all the operations of the Italia-America Bocce Club. In the event that the President cannot complete his/her term of office, the Vice President shall, with a majority vote of the Board of Directors, assume the office of President. The Treasurer shall perform all duties customarily assigned to the office of treasurer and shall be responsible for all financial records of the club. The Treasurer shall receive and deposit all funds and shall follow all procedures required by the Policy and Procedures Manual. The Treasurer shall send out all dues notices in May of each year. The Treasurer shall present a monthly report to the Board of Directors and the General Membership concerning the financial status of the Italia-America Bocce Club. The Treasurer may be bonded, as deemed necessary by the Board of Directors. At the Annual Meeting in May, the Treasurer shall present a full and complete financial report of the organization for the past year. This report shall be distributed to the Directors before the Annual Meeting, in order for them to review and sign same prior to the Annual Meeting. The Secretary shall attend all General, Board and Special Meetings of the Italia-America Bocce Club and shall be responsible for recording the minutes of all said meetings. The Secretary shall have charge of all corporate papers, documents and files of the club. He/She shall keep in safe custody the seal of the corporation and, when authorized by the Board of Directors, affix the seal to any document requiring the same and when so ordered, add his/her signature as an attestation thereof. The Secretary, in conjunction with the Treasurer, shall keep a current membership list of all members in the club. He/She shall keep all federal, state and local corporation papers current and up to date. In addition, the Secretary shall send out all meeting notices and carry out any correspondence and perform all other duties that shall be assigned by the Board of Directors. At the Annual Meeting, the Secretary shall deliver a report on the activities of the organization for the past year. This report shall be distributed to the Board of Directors prior to the Annual Meeting, in order for them to review and sign same prior to the Annual Meeting. The Directors shall supervise the efficient management of the organization. The Directors shall review all bills and invoices. It shall be the responsibility of the Directors to audit the accuracy and correctness of all records and reports prepared by the Treasurer and the Secretary of the Italia-America Bocce Club every six (6) months and present these audits to the Board of Directors and the General Membership. Before the Annual Meeting, the Directors shall examine the books of the Treasurer and they shall review and sign the Treasurer’s and Secretary’s Annual Reports before these are presented to the membership at the Annual Meeting. The Directors shall also review and supervise all the actions of the Officers and Directors of the club. Each Director may be assigned specific duties by the President when necessary. The Board of Directors shall appoint a member to serve as Club Historian. The Historian shall serve as an ex-officio member of the Board of Directors and shall attend all Board Meetings. The Historian shall maintain the Club’s Historical records and maintain files on every member as to date when each member joined, his sponsors, etc. The Historian shall receive a copy of all the minutes of the Italia America Bocce Club. The President shall appoint a Parliamentarian to help resolve disputes at any Regular, General, or Special Meetings. He/she shall be an ex-officio member of the Board of Directors. The Parliamentarian shall be familiar with the By Laws and Rules of the Italia America Bocce Club, and Roberts Rules of Order. He/She shall offer counsel to the President and the Board of Directors pertaining parliamentary procedure and interpretation of the By Laws and Rules of Italia America Bocce Club. With a majority vote of the Board of Directors, the Board of Directors may appoint or employ such agents as it shall deem necessary, who shall have such authority and shall perform such duties as shall be prescribed by the Board of Directors. Any agent may be removed with a vote of the majority of the Board of Directors, with or without cause, whenever in its judgment the best interest of the club shall be served thereby. Regular or General membership meetings shall be held at a 1:00 p.m. on the third Sunday of each month with the exception of the months of July, August and December when no monthly meeting is held. These meetings may be held with or without notice. The Board of Directors shall meet at a time and place to be determined by the Board of Directors. Special Board Meetings may be called the President when he/she deems necessary. The quorum for a Board of Directors meeting shall be seven (7) board members. The Annual Meeting shall be held on the third (3rd) Sunday of May of each year. The Secretary shall present a report of all activities of the organization at the May Annual Meeting. Likewise, the Treasurer shall present a full financial report listing all assets and liabilities at the May Annual Meeting. This report shall be presented to the Board of Directors for their approval prior to the April Meeting. The election of Officers and Directors shall be held in conjunction with the May Annual Meeting. Failure to hold the May Annual Meeting at the designated time shall not constitute a forfeiture or dissolution of the organization. The President may call a Special Meeting at any time he/she deems necessary. Five (5) members of the Board of Directors may also call a Special Meeting. Members must be provided with a notice for all special meetings. Special Meetings must have a specific purpose and this purpose must be provided to the membership. No additional business shall be conducted at a Special Meeting, just the matter(s) mentioned in the notice for the Special Meeting. A quorum will only be required for the May Annual Meeting and Special Meetings. The quorum shall be fifty (50) members. All meetings of the club, including Regular or General Membership meetings, Board of Directors Meetings, Special Meetings, and Committee Meetings shall be conducted according to the rules and guidelines of Roberts Rules of Order and the Procedure and Policy Manuel of the club. Proxy voting shall not be permitted. The Board of Directors shall have the authority to establish general rules governing the day to day operation of the club and all of its activities. The Board of Directors shall establish a written Policy and Procedural Manuel. However, the Board of Directors shall not establish rules which are in violation of the By Laws. The establishing or changing of a rule of the Italia-America Bocce Club shall be in accordance with the following procedure. The proposed rule or rule change must be approved by a majority vote of the Board of Directors and must not be in conflict with the By Laws. The new rule or rule change shall be read to the general membership at the next Regular or General Membership Meeting after the new rule or rule change was approved by the Board of Directors. All committees shall report to the President and/or Vice President. The President shall appoint all committee chairperson(s). The Committee Chairperson(s), with the approval of the President, shall appoint or recruit the members of each committee. The President shall serve as an ex-officio member of each committee, with the exception of the Nominating Committee. The President shall appoint the Chairperson of the Nominating Committee at the February Regular or Membership Meeting. This committee shall consist of a Chairperson and seven (7) other members in good standing. No more than three (3) of who may be members of the Board of Directors. The Nomination Committee shall instruct all candidates of the requirements that are expected of them for the position that they are seeking. The Nominating Committee shall mail to each member and post a notice on the bulletin board of the Italia-America Bocce Club the names of those nominated at least three (3) weeks prior to the date of the Annual Meeting. The names of the candidates will be presented at the General Membership Meeting in April. Ballots will be accepted from all members in good standing, present in person to cast a vote. All elected candidates shall be installed and take their respective offices on the first (1st) day June. Any five (5) members in good standing may by written signed petition at least four (4) weeks prior to the Annual Meeting in May place in nomination the name or names of any other member for any officer or director position to be filled at the Annual Meeting. The President shall not be a member of this committee. The President shall appoint an Election Committee Chairperson to supervise and run the election of club officers and directors at the May Annual Meeting. The Membership Committee shall actively strive to expand the membership of the organization. This committee shall be responsible for providing recruitment material for the membership. The Budget/Finance Committee shall be responsible for drafting a budget for the organization. This Budget/Finance Committee shall review the financial status of the club to insure that the organization is properly funded. The Sick Committee shall be responsible for informing the membership whenever a member becomes ill or passes away. This committee shall contact all members who become ill and send them a token of esteem on behalf of the club. The President may appoint any additional committee(s) as may be deemed necessary for the efficient operation of the club. The power to enact, alter, amend or repel the By Laws of the Italia-America Bocce Club shall be vested in the regular membership. Any proposal for such change, modification, or suspension of the By Laws shall be made in writing to the Secretary of the Italia-America Bocce Club and must be signed by a least ten (10) members in good standing and presented at a Regular or General Membership Meeting. The Board of Directors, with the approval of a majority vote, may also submit proposals for changing the By Laws and their recommendation(s) must also presented at a Regular or General Membership Meeting. Upon receipt of proposed By Law changes, the Secretary shall provide notice to the membership that amendment(s) to the By Laws shall be discussed at a Special Meeting. The Secretary shall detail the change(s) that are to be considered and send a written notice to all the members. At the Special Meeting the membership shall then have the opportunity to accept or reject the amendment(s). The By Laws may be amended or revised at a Special Membership Meeting by a two-thirds (2/3) affirmative vote of the membership present at the meeting. Proxy voting shall not be permitted on all proposals to amend, revise or alter the By Laws. The quorum for all meetings at which By Law changes or amendments are considered is fifty (50) Members. Neither the Officers, nor the Directors nor the members of this club are individually or personally liable for the debts, liabilities or obligations of the club. The Board of Directors shall provide a corporate seal which shall be circular in form and shall have inscribed thereon the name of the organization, the state of incorporation and the words, “Corporate Seal”. All officers, directors, members and agents charged with the custody of property, paraphernalia and records must discharge reasonable care in the keeping of same. All officers, directors, members and agents in whose custody are assigned club property, paraphernalia and records shall turn them over to their successors at the termination of their term of office. Failure to return property shall result in the forfeiture of membership in the club. The Italia-America Bocce Club shall not endorse or recommend any candidate for public office and shall not discuss at any meeting the merits of any candidate for public office. Endorsements of political candidates or partisan questions of a political nature shall not be acted upon by the club. A candidate for public office may appear before the membership. In this instance, the club is honoring the office for which the individual is competing and the candidate shall be forewarned that he/she shall limit his/her remarks pertaining to the office that he/she is seeking. The candidate shall be asked to exclude remarks which contain any personal prejudices. The appearance of a candidate before the club shall be strictly for educational purposes. This club is organized and shall be operated exclusively for the purpose herein set forth. In no event shall any part of its earnings inure to the benefit of any individual member. In the event of dissolution of the Italia-America Bocce Club, or if for any reason it shall become defunct or be no longer in existence, all assets remaining after all liabilities and obligations of the club have been paid, shall be directed toward charitable institutions. These funds to be administered by a majority vote of the Board of Directors current at the time of dissolution. The Italia-America Bocce Club shall continue in operation and its physical assets shall never be sold as long as fifty (50) members in good standing, by secret ballot, oppose its dissolution. In order to dissolve this club, a Special Meeting shall be held. A written notice for this Special Meeting must be sent to the members in good standing at least twenty-one (21) days before this meeting. This notice shall set forth the time, date and purpose of the Special Meeting. Only members in good standing, each of whom shall be certified by the Secretary at the meeting, shall be entitled to cast their vote. Fifty (50) dissenting votes shall be required to defeat the proposition. In order for the Italia-America Bocce Club to acquire or dispose of any real property, the matter must first be brought up a Regular or Special Meeting of the Board of Directors. A two-thirds (2/3) affirmative vote of the Board of Directors shall be required to carry any such motion. Any such proposal shall then be reported to the General Membership. 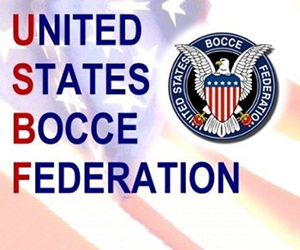 Furthermore, Fixtures, Appliances, Furnishings and other movable property involving major expenditures necessary and/or desirable for the operation or use in connection with the Italia-America Bocce Club shall be approved by the Board of Directors. Any such acquisitions shall also be reported to the General Membership. Any expenditure in excess of fifteen thousand dollars ($15,000) must be approved by a two-thirds majority vote of the Board of Directors after three written proposals are presented to the Board of Directors for their review. Then the proposal must be approved by a majority vote of the membership present at a Special Meeting called to discuss this expenditure. The quorum for this Special Meeting shall be fifty (50) members in good standing. These By Laws to take effect on June 1, 2010. General Membership meetings shall be open to members of the club. The shall be held no fewer than three (3) times per year on dates determined by the board in addition to the Annual Meeting held the third (3) Sunday of May at a time determined by the board. Each of the officers shall serve a three (3) year term. The terms of the President and Secretary expriring at the same time, and the terms of the Vice-President and Treasurer expiring at the same time. Their term will begin June 1st following their election at the Annual Meeting. The transition to three (3) year staggered terms for officers shall be governed by procedures as established by the board. No person may serve as an officer of the club in the same position for more than two (2) consecutive terms. Officers who vacate their offices after serving for two (2) consecutive terms in the same positions shall not be eligible to serve as officers again in their previous positions for at least one (1) term after vacating office. They shall, however, be eligible to run for positions other than the vacated positions. You have been elected to fill the various offices of the Italia-America Bocce Club. You have been entrusted with the responsibility of guiding its course for the coming year. It is a sacred trust and a grave responsibility. Guard well that trust! Remember that the success of this organization lies entirely in your hands. It is your duty to become familiar with the By Laws, Rules and Regulations of the Italia-America Bocce Club. I (state your name) having been elected to the office of (give the name of the office) of the Italia-America Bocce Club, do solemnly swear that I will faithfully and impartially perform the duties of the office to which I have been elected. I now declare you duly installed and qualified to take your respective offices. You have been elected to the highest office of the Italia-America Bocce Club. The organization reposes great trust and confidence in you as its leader. You will be responsible for the advancement of the organization during your term of office. You will preside at all meetings and perform all other duties described by the By Laws and the laws of parliamentary procedure pertaining to your office. You shall appoint all committees and conduct yourself at all times in a manner which will bring credit and admiration to you and your administration. Mr. /Ms. President, I present you with this gavel, the symbol of your authority. Use it impartially, with firmness, and discretion in the best interests of the Italia-America Bocce Club. May you be guided by wisdom and discretion and may you be faithful to your trust. 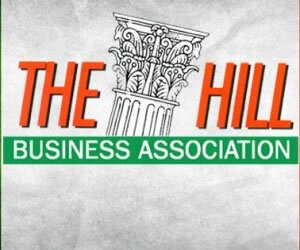 I, ___________________________, having been elected to the office of President of the Italia-America Bocce Club, do solemnly swear that I will faithfully and impartially perform the duties of the office to which I have been elected and will do my best to guide the organization in the upcoming years. I now declare you duly elected and qualified to take office as President of the Italia-America Bocce Club.